Most of India’s startup ideas might be copied from the west or from China, but our scams are truly all our own. 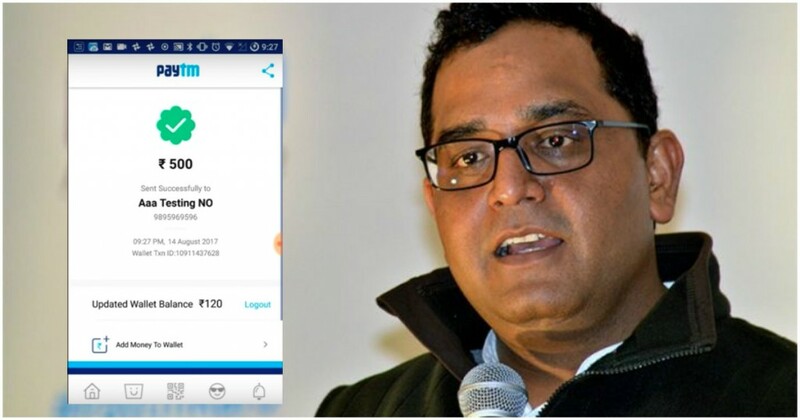 A fake Paytm app is being used to scam shopkeepers into believing that a payment has been made through Paytm by simply displaying a message that looks similar to the message that appears when a legitimate payment is made through the platform. Called Prank Paytm, the app shows a “money transferred” message, complete with the moving green tick mark and a custom amount, and leads shopkeepers to believe that they’ve received a payment. Crooks in Hyderabad have scammed shops of over Rs. 2 lakh by displaying the money transferred message and walking out with their purchases. “After shopping, they pretend to be using the Paytm app on their phones to pay the bill,” said an officer of the Hyderabad commissioner’s task force. “They enter the details in the prank version, which shows a message mimicking the original saying that the payment has been made. They show the cashier the message with a fake transaction ID.” Over the last couple of months, Heritage Fresh in Jubilee Hills, Himayathnagar and Abids, and Firstcry Kids and Almond House at Himayatnagar were cheated through the fake app. It’s a fairly ingenious idea — most people simply show their phones to shopkeepers after making a payment, and shopkeepers usually give nothing more than a cursory glance at the message before accepting that a payment has indeed been made. Shopkeepers also receive an SMS on their own phones after payment, and a notification from their apps, but their phones aren’t always accessible, and these notifications can be sometimes delayed. The creators of the app clearly saw an opportunity that they could exploit, and went ahead and made an app that simply mimicked the transfer message. And Prank Paytm (it’s since been taken down from the Play Store) isn’t the only app that seemed to have had the idea. As far back as in August 2017, a similar app had created the exact same functionality, and had even created a helpful video on how to generate the final screen. This app, called Spoof Paytm, has also since been taken down on the Play Store. Both the apps carried a disclaimer that they were meant for pranking purposes only, and their creators weren’t responsible if they were misused, but that doesn’t quite ring true — the apps were clearly designed in order to scam people into believing that they’d received payments when they hadn’t. Given how widely Paytm is now used across the country — Paytm’s annualized gross transaction value now stands at Rs. 1.3 lakh crore — an app like this could’ve led to crores in fraudulent, and possibly, yet undetected, transactions. And while both apps have been taken down from the Play Store, Paytm would need to step in possibly create a more robust system for payment acknowledgements. The company seems to have put in some effort into ensuring that their successful transaction page isn’t too easy to copy — the green tick is animated when a payment is sent, ensuring that someone can’t simply use a static screenshot of a previous transaction to make a fresh payment. But India’s enterprising app developers have discovered a workaround. It’s now up to Paytm to make sure it stays a step ahead of the scammers.